What types of grow light movers are available? Why should you use a grow light mover? How to buy the best grow light mover? 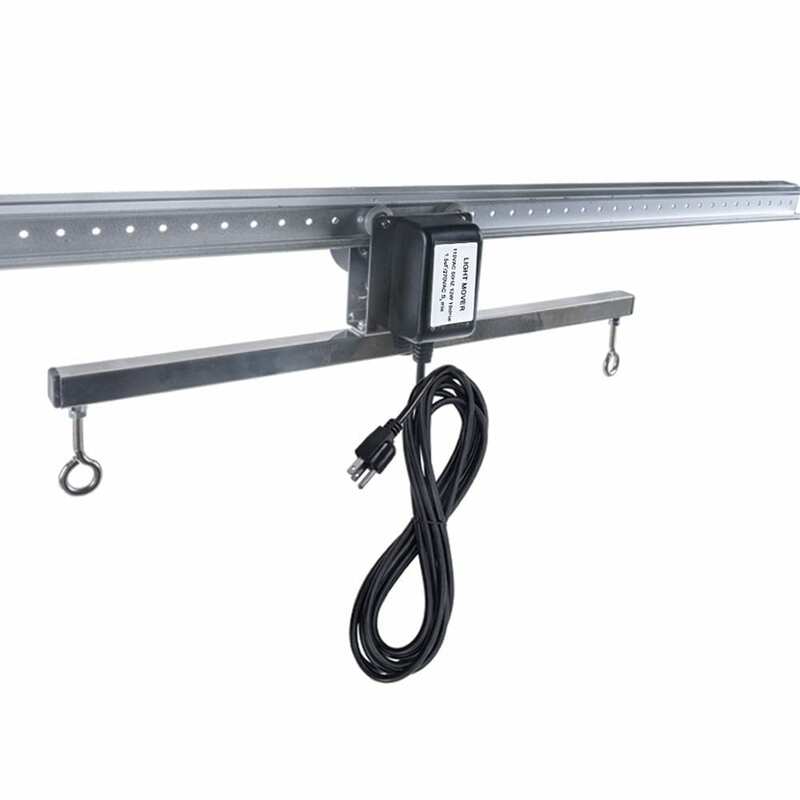 A grow light mover is simply referring to a rail installed in your grow room. It is a sturdy frame erected over the garden on the ceiling. The small motor gives your grow light the ability to slide back and forth on the rail. The grow light mover crosses the light back and forth over the garden in a straight line. The light mover, also referred to as light rail, is a tool employed in grow rooms and is perfect for indoor gardening. This is because it is designed in such a manner to provide better light distribution across a complete row of plants. It is known that a plant requires light to grow and thrive. A grow light offers indoor grow rooms with the need for light. However, there could be some issues. The light emission indoor appears to be different from the way the plant receives light in the open space. The general setting and light seems to be dispersed along the plant leaves in the daytime. The light mover refers to the solution some indoor growers used to make sure about better illumination for the plant. In general words, light mover refers to the mechanized systems that are employed to rotate or move the grow light back and forth so that plants attains sufficient illumination. Not only the upper parts. The grow light mover gives you a simulated movement of the sun. There are several types’ of grow light movers available which include some on rail/track and other on a circular track. The track-based movers are available in different lengths and include different features with the strength to hold multiple grow lights. The movers can change the track by adjusting the size. The circular light movers can hold up to four lights with the use of reflectors. Generally, the light movers employ the arrangement of rails and trolley to move the light. The motor is accountable for the back and forth movement of the light through rolling the wheel in the suspended track. The LED rails system is often installed in permanent structures, however also function in grow tents if required. 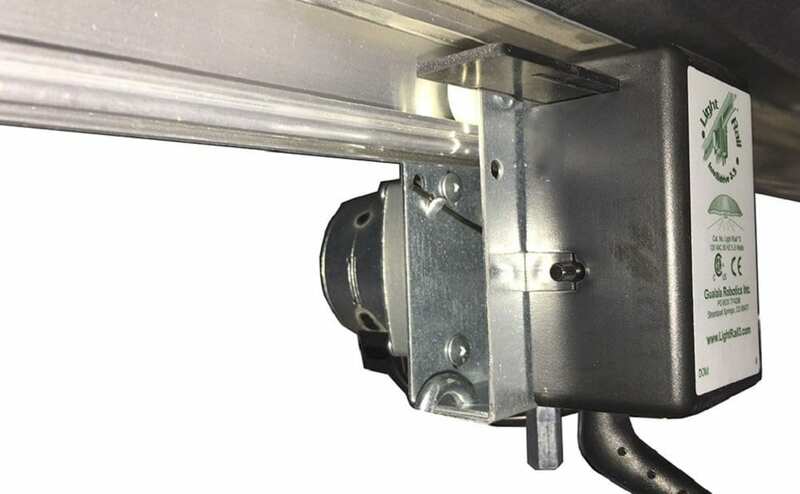 Running a light mover eliminates some problem areas in your grow room. Problem areas can make leaves twist up as they endeavor to shield themselves, or consume the tips of the plant, from the warmth coming off your lights. As the light mover directs your reflector over your greenery enclosure, heat is scattered over a bigger zone, enabling your plants to rest and chill. The forward and backward movement likewise allows light to better infiltrate the plant covering, by providing light to bring down leaves that would be shadowed when utilizing just static lights. Keep plants healthy in a SCROG growing system. Here are some points that you need to take into consideration if you are looking to purchase light movers. All you have to do is to pay attention to these points so that you can get the best value for your money. You need to pay attention to the pieces of the track. It is known that tracks are great; however, if you have one that is just one length, it could create issues concerning the range of grow space. Multiple pieces of track are handy for customization. You need to understand whether you can adjust the track or not. Some grow light movers allow you to alter the track manually. Along with such, they sell extra track that helps to increase or decrease the length of the track. You need to know what’s the delay as it is essential to have even light on entire portions of the growing space. You have to check the motor speed of LED grow light movers. This enables you to set the perfect moving speed to enhance coverage and penetration. Still not convinced about the use of grow light movers? Check out what a grow light mover did for this grower and how it enhanced its yields. A simple change can generate great results. There are various light movers available in the market and offer several benefits. Here is a list of some great light movers along with their description. This will assist you in taking the right decision in buying the best grow light mover. This is a 7ft rail that has been made with aluminum alloy. The light mover is highly durable and can hold the maximum weight of 10kg. This light mover is identified as one that offers more scattered light and spectrum. Along with such, this light mover offers vast illumination and helps in energy saving. Reduces the source of light. You can turn the knob in a clockwise direction for setting the delay to the amount that is perfect for your plants. The installation process seems to be easy and requires mounting all the hardware. All you have to do is mount the standard track over the required area and put on the lamp-moving-drive-motor. It uses a lamp moving technology that facilitates more illumination in the garden. This enhances the process of photosynthesis. While moving the light source along the rail, the light seems to reach lower parts, and the plant produces higher yields. This is one of the most preferred and popular grow light movers in the market. It can travel about 4 feet per minute and has a 0 to 60-second adjustment delay time. This feature of light movers is used to pause the indoor grow light on both ends while traveling on the rails. Therefore, it can be said it helps to support more growth from one end to another end. Light Rail 3.5 works with 110 volts only and does not work with 220 volts. The Light Rail 3.5 IntelliDrive refers to the scalable system for the indoor grow light and is considered to be ideal for any indoor grow light system. It also works for four seasons greenhouse grow lights. The setup comes in most handy in tents and rooms with higher commercial intent. 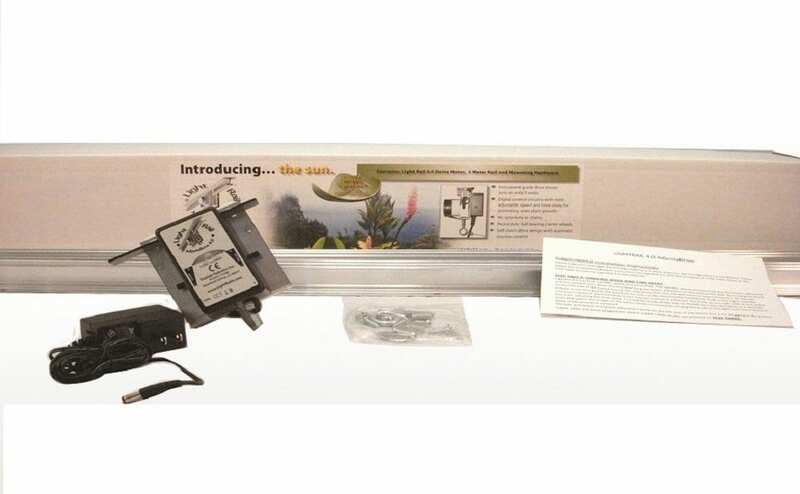 This light mover has a second adjustment time from 0 to 60 seconds to pause the grow light on both ends and support even growth of all your plants. The light movers has a 2 to 4 feet per minute adjustable speed control and covers the vast range of light intensities along with distance. In addition to such, this light mover offers considerable flexibility. This light mover seem to be the ultimate and is compatible with Light Rail 3.0, 3.5 and 4.20 rails and accessory items. Light Rails 4.0 has an adaptable transformer power cord and works with 110 volt and 220 volts. Works on 9 Watts only. Light Rails 4.0 AdjustaDrive Kit is available carrying the variable speed Light Rail Motor and a two-piece 2-meter (6’6”) Rail. The package comes with a hardware installation guide to understand the functionalities and setup. The grow light mover has an adjustable time delay of 0 to 60 second for enhancing the plant growth located inside. Also, it is capable of moving any indoor grow light weight. However, when you have a very heavy weight; it is recommended to choose the Extreme Duty Trolley. This is available as an alternative option that can be installed in a hassle-free manner. In this grow light mover, three indoor growing lights scan moves in straight line through one light mover. It is the best grow light mover that one can choose while looking to purchase one. The new Light Rail 5 is a heavy-duty and functional grow light mover that seems to be perfect for heavy grow lights. It comes with a high torque 4-RPM motor, 8 feet rail and adjustable crossbar. This grow light mover features a limited lifetime warranty. It has 90+ lb. capacities if adequately balanced. This grow light mover is identified as the light mover that offers more scattered light and spectrum. Along with such, this light mover offers vast illumination and helps in energy saving. It is considered a perfect option for a Led light rail system. The grow light mover system affects the spreading of light. The grow lights are moved in the direction of the rails and this movement reduces shadows and hot spots. There will be no adverse impact of hot spots and zoned light overkill; the individual is now able to get light closer for enhanced photo-synthetically active radiation (PAR) right to the canopy. Light Rail 5 Commercial Drive 4-rpm is available with the triple duty extruded aluminum track, which has a carrier bearing a 4-rpm instrument grade motor. It has a ball bearing output shaft and is capable of moving 2 or 3 lights at the same time with the available add on products. With all these features, this grow light mover is considered to be a good option for a LED rail system. 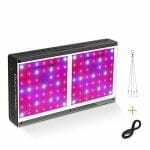 With the above reviews on the best grow light movers, you will be able to choose the required light movers for your requirements and budget. The detailed information about the best light movers helps to understand the features and functionality of light movers in a comprehensive manner. Grow light movers are supposed to be beneficial for your yields in a good setup. While using the light movers in veg, the above list is excellent for developing the nodes spaces. If you’re growing in a grow tent, we would recommend considering the Light Rail 4.0 AdjustaDrive kit, because it is perfect for a smaller sized grow room. 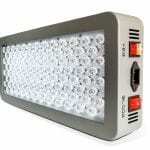 A grow light mover usually comes in handy in rather large grow tents or rooms. We, among others, reviewed the best 4×8 grow tents. Read it if you still need a grow tent to buy it together with your grow light mover. In need for other tools? We reviewed the best PAR light meters, for example. 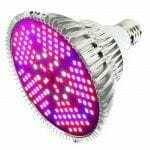 Besides our LED grow lights reviews, we reviewed everything you need for your grow room in the section tools. Also, we give you a lot of tips on growing in our blog. A grow light movers gives you the ability to spread the light evenly over your plants in an indoor grow environment. But what are the best light grow movers and which one do you need for your specific grow room?